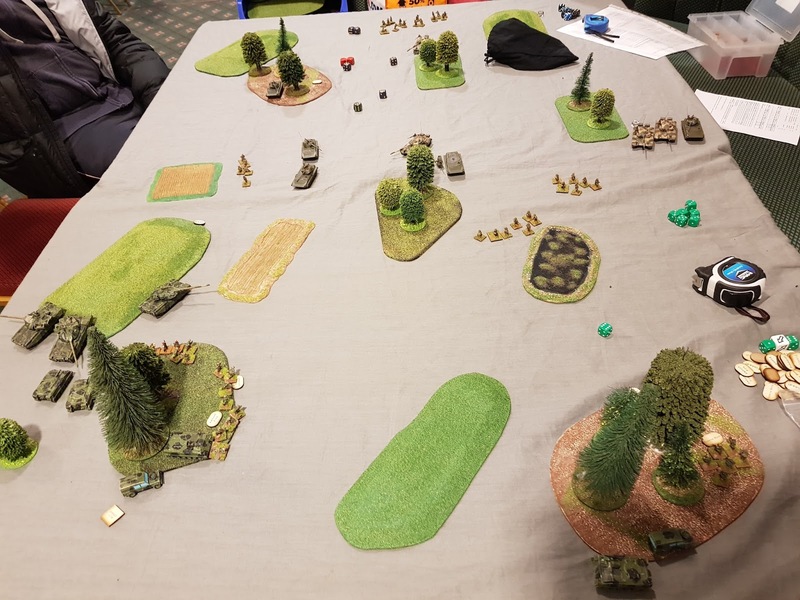 We tried out a meeting engagement using Richard C's unofficial battlegroup modern rules last week at the club. Lots of fun and some real shifts in fortune during the game. 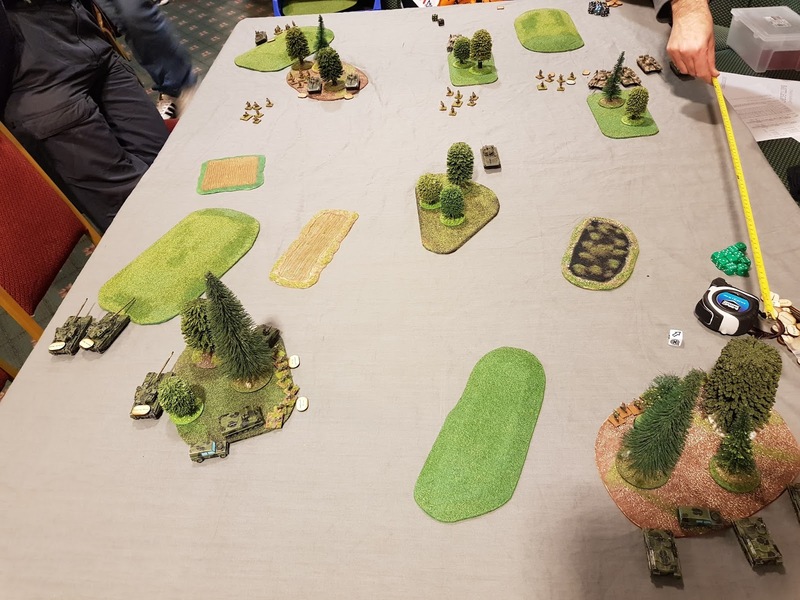 The mid-point of the game - the Chiftain troop on the left is in flames. 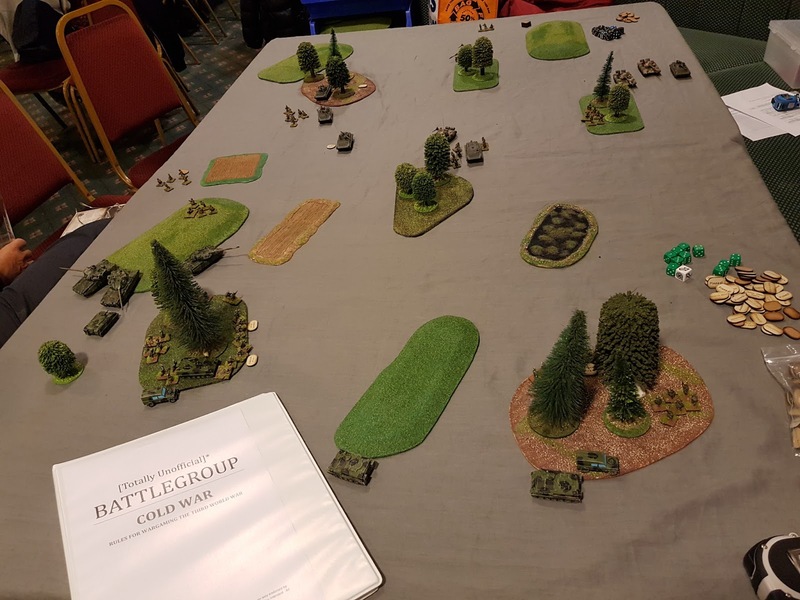 Near the end - the Soviets finished up one point short of breaking while the British weren't even half way to their breakpoint in the end. Fun - NO - far too noisy couldn't hear myself think !